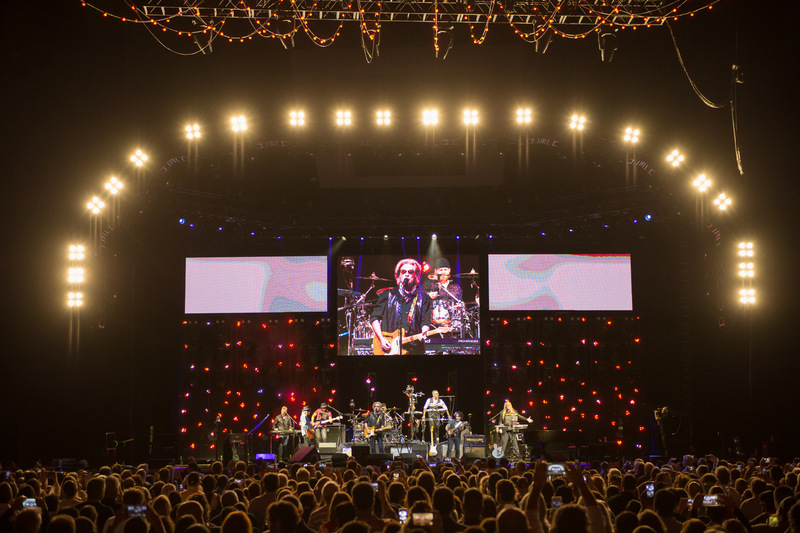 Two iconic bands, American duo Daryl Hall & John Oates and English pop band Tears for Fears, united for a joint tour that had the trans-Atlantic pairing touring North America through July beneath a rig that included Elation Professional lighting effects. 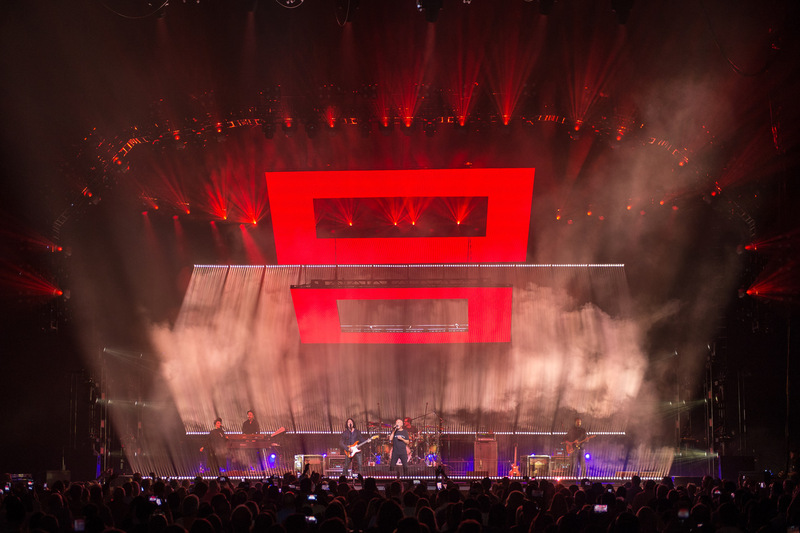 The lighting design team of Matt Geasey and Jesper Luth used Elation’s ACL 360 Roller™ and Cuepix Blinder™ series fixtures in the design for the Hall & Oates performance while Tears for Fears lighting designer Alex Reardon is one of the first anywhere to use Elation’s new Chorus Line 16™ pixel bar wash luminaire. 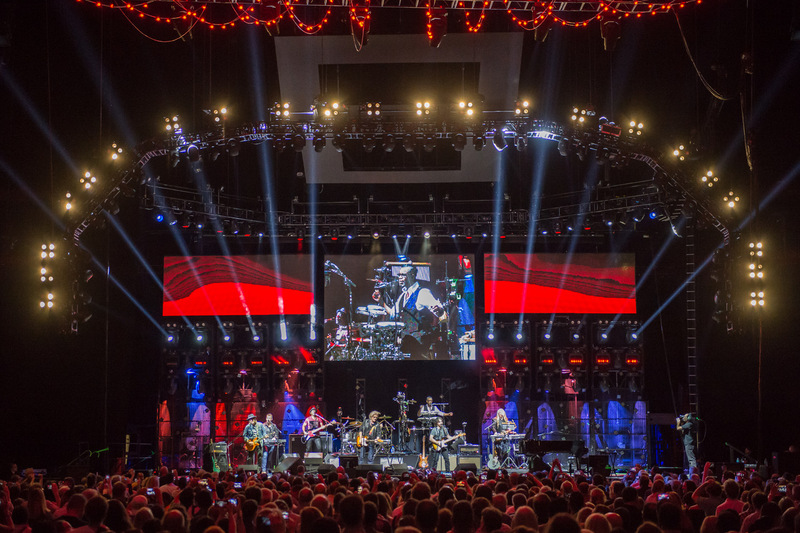 Lighting vendor for the Daryl Hall & John Oates / Tears for Fears tour is full service production company Morris of Nashville, Tennessee. Morris has worked with Hall & Oates for the past two years, fulfilling the same role on the band’s 2016 outing as they do on the current tour. Prior to this 2017 tour, Morris worked closely with Hall & Oates lighting director Jesper Luth to make the band’s vision become a reality. Luth and the Morris team spent significant time in Morris’s 500 sq. ft. pre-visualization suite, where they were able to simulate the exact lighting design that the audience would see during the live performance. Working in collaboration with Luth, Morris added 12 ACL 360 Rollers and 12 Cuepix Blinder WW2s to the 2017 set to go along with 24 Cuepix Blinder WW4s. “I was originally looking to fill a space in our lighting carts, something that was a wash type fixture,” Luth explains. 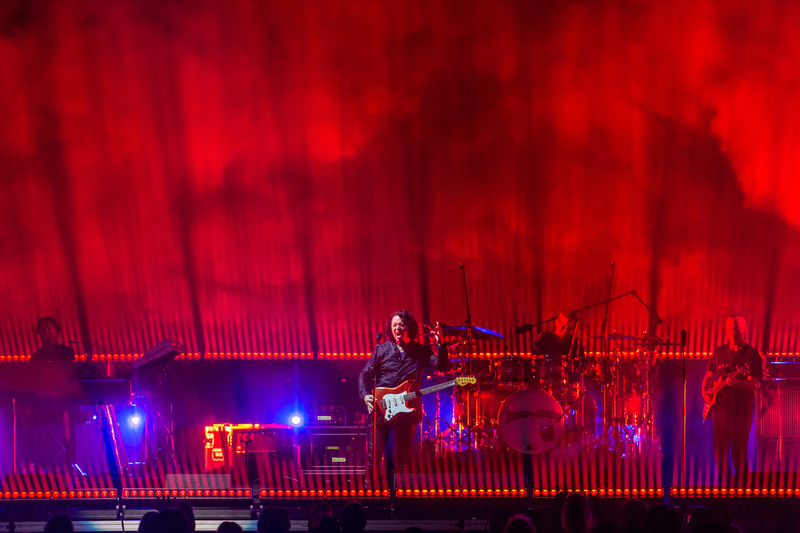 “John Dunn [Elation National Sales Manager] recommended a couple different types of fixtures and the ACL 360 Roller was a perfect effect light.” The ACL 360 Rollers are unique 4-bar LED moving battens with full 360° pan and tilt rotation and individual pixel control. They were added to the set for eye candy purposes and are positioned in set carts for easy on and off transporting. The Chorus Line 16 pixel bar wash houses 16 powerful 40W RGBW LEDs that allows for use on large stage performances like the Tears for Fears show and includes enough punch to compete with bright LED video screens. It is an ideal stage wash or foot light solution for television or concert applications and features full pixel control for direct eye candy looks. Motorized zoom optics mean it can be used to light set objects and cycs and a 220° tilt motor function lets designers position or move the unit dynamically during a show. There is a plethora of other intelligent lights in the Tears for Fears rig, which includes four of Elation’s Cuepix Blinder WW4s. Housing 4 long-life 100W warm white 3,200K COB LEDs, they give a bright, high-density output that mimics the look of an incandescent source but with a fraction of the power requirements. The Daryl Hall & John Oates / Tears for Fears tour is getting lots of praise and turning out to be one of this summer’s surprise outings. With a long list of singalong hits that have proven a treat for fans at every stop, perhaps it shouldn’t be.